Despite established links between nicotine dependence and depression, little research has examined the effects of nicotine on depression symptoms. This study evaluated the acute and chronic effects of transdermal nicotine in nonsmokers with baseline depression symptoms during a 4-week, double-blind, placebo-controlled trial. Nonsmokers with scores ≥10 on the Center for Epidemiological Studies Depression scale (CES-D) were recruited from the community. Mood and cognitive performance were measured at baseline (day 0) and at 1, 8, 21, and 28 days. Participants were randomly assigned to wear a placebo or nicotine patch for 4 weeks (3.5 mg/day during weeks 1 and 4; 7 mg/day during weeks 2 and 3). The final sample consisted of 11 nonsmokers with a mean baseline CES-D score of 27.36 (SD=10.53). Salivary nicotine levels indicated the majority of participants were compliant with treatment. Acute nicotine did not alter mood. After adjusting for baseline values, chronic nicotine resulted in a significant decline in CES-D scores at day 8 (3.5 mg/day), but returned to placebo levels by the last visit. This return to baseline levels was coincident with a decrease in nicotine administration from 7 to 3.5 mg/day. A similar trend for improved response inhibition as measured by the Conners Continuous Performance Task was also observed. Reported side effects were infrequent and minimal. 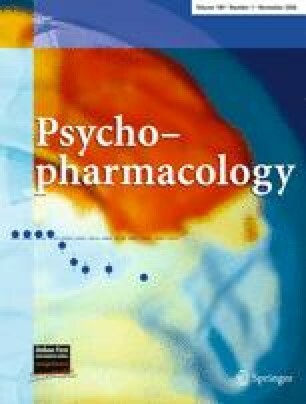 These findings suggest a role for nicotinic receptor systems in the pathophysiology of depression and that nicotinic compounds should be evaluated for treating depression symptoms. This research was supported by a Young Investigator Award from the National Alliance for Research on Schizophrenia and Depression. Dr. Rose is an inventor named on several nicotine patch patents and receives royalties from sales of certain nicotine patches.